On January 7, 2019, in news release IR-2019-01, the Internal Revenue Service confirmed that despite the government shutdown, "it will process tax returns beginning January 28, 2019 and provide refunds to taxpayers as scheduled". Software companies and tax professionals are already accepting tax returns and will submit them when the IRS systems open later this month. The filing deadline to submit 2018 tax returns is Monday, April 15, 2019 for most taxpayers. However, Maine and Massachusetts residents have until April 17, 2019 to file their returns. The IRS will begin accepting tax returns on Jan. 29, with nearly 155 million individual tax returns expected to be filed in 2018. The nation’s tax deadline will be April 17 this year – so taxpayers will have two additional days to file beyond April 15. BGGE has a new look. I've used the "road to success theme" since 2013. I've wanted to change the home page for months. Under the old framework, periodic changes eventually made it look bloated. It definitely had become slow to load. I'm calling this 2017 revamp "getting to know me". The home page is still informational and service-oriented, but also features my "virtual administrative assistant" qualifications, portfolio, and current promotions. The view-port is wider; the menu and footer links have been reorganized for easier navigation; and the social media buttons have been moved to the top of the page for easier access. The nation’s tax season officially begins on Monday, January 23, 2017. That is when the IRS will begin accepting electronic tax returns and processing paper tax returns. While many software companies and tax professionals will be accepting tax returns before Jan. 23, they cannot actually submit your return until the IRS systems open. As a precautionary step to protect taxpayers, the Internal Revenue Service today announced that the electronic filing PIN tool is no longer available on IRS.gov or by toll-free phone following additional questionable activity. 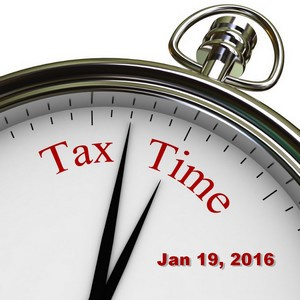 According to the Internal Revenue Service's December 21, 2015 newsletter, "the nation’s tax season will begin as scheduled on Tuesday, Jan. 19, 2016". The IRS will begin accepting individual electronic returns that day. They expect to receive more than 150 million individual returns in 2016, with more than four out of five being prepared using tax return preparation software and e-filed. The IRS will begin processing paper tax returns at the same time. They reminded filers that there is no advantage to filing paper tax returns in early January instead of waiting for e-file to begin. 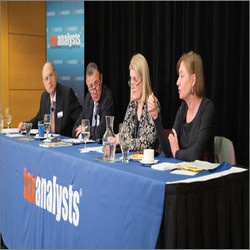 On July 15, 2015, National Taxpayer Advocate Nina E. Olson released her statutorily mandated mid-year report to Congress that identifies the priority issues the Taxpayer Advocate Service (TAS) will address during the upcoming fiscal year, including the IRS’s long-term strategic planning, tax-related identity theft and administration of the Patient Protection and Affordable Care Act (ACA), and presents highlights of the recently concluded filing season. 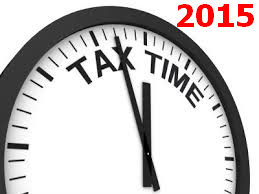 The IRS will begin accepting tax returns electronically on January 20, 2015. Paper tax returns will begin processing at the same time. According to one of their newsletter's, "The decision follows Congress renewing a number of "extender" provisions of the tax law that expired at the end of 2013. These provisions were renewed by Congress through the end of 2014. The final legislation was signed into law Dec 19, 2014." The IRS reminds taxpayers that filing electronically is the most accurate way to file a tax return and the fastest way to get a refund. There is no advantage to people filing tax returns on paper in early January instead of waiting for e-file to begin.